A home in Cato Manor, a Durban township that I lived in for part of my semester. I am forever grateful to my alma mater, Smith College, for strongly encouraging its students to travel abroad. Smith offers its students a plethora of opportunities and funding to get international experiences. In particular, studying abroad during junior year was a big part of campus culture. 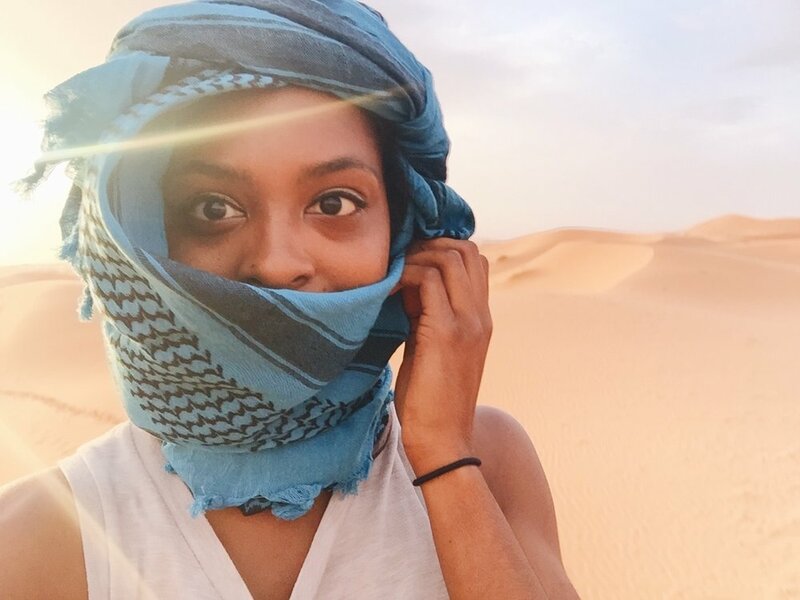 Even as someone who didn't know anything about international travel (at that time, I'd never been more than a four-hour drive from home), the abundance of opportunities and access to resources had a huge influence on my decision to study abroad. I decided to take the plunge and study abroad for a semester in South Africa. I spent five months studying community health and social policy in Durban. The experience was so transformative that, at the end of the semester, I wished that I had chosen to study their for an entire year. Seek external funding. In addition to getting funding from Smith to study abroad, I was a Gilman scholarship recipient. There are tons of study abroad scholarships out there. Take advantage of those resources. 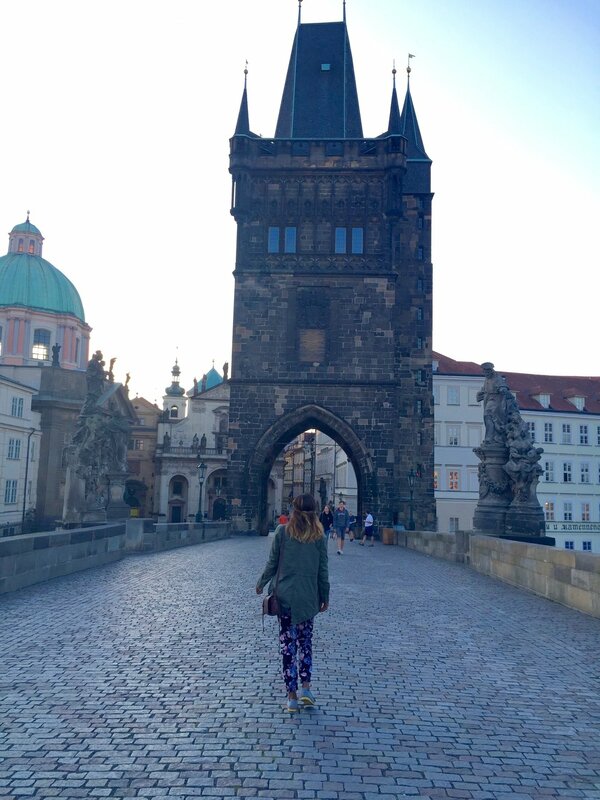 Read more about my life changing study abroad experience here. Traditional Zulu wedding/ the first wedding I've ever attended! During winter break of my senior year, with funding from Smith, a few of my close friends and I volunteered in Kenya together. We taught in an orphanage and worked with HIV-positive women in their shops. After our four weeks were up, I realized we weren't as helpful as I thought we would be. Both the students' and the women's needs were beyond what we would be able to provide during our short stay. Once we got home, we were able to sell some of the women's jewelry in the U.S. and send them the proceeds ($400 USD, or 40,400 Kenyan Shillings). But I still had the unsettling feeling of leaving them hanging, even though we didn't have the capacity to do more. Do extensive research into your volunteer opportunities. The program we volunteered at, which is no longer in operation, was poorly run and unorganized. Although Kenyans and most people in developing countries need long term solutions and resources, volunteering can be a way to contribute to those solutions. Do your due diligence and research ethical volunteer opportunities. We were stranded in a safari for a few hours and decided to make the most out of our time! After college, I worked for two years before attending the University of North Carolina at Chapel Hill for my Master of Public Health in Health Behavior. Thinking about how all my friends who studied abroad in Europe got to see multiple countries, I decided to make Europe my graduate school acceptance celebration trip. I left my job in July and took a two-week vacation to Paris, Barcelona, and Rome before starting school in August. I customized the trip using European Destinations, securing all flights and hotel rooms for about $2,000 per person. This was my first time traveling solely for leisure and planning a trip through the European Destinations platform made this a simple process. However, the more I traveled, the better I became at traveling for even cheaper. I was fortunate enough to have my graduate school tuition covered by a Graduate Research Assistant position. Between savings from my pre-graduate school job and my RA job, student loans, and $1,000 scholarship from my academic advisor, I was able to complete a summer internship in Cape Town at the South African Medical Research Council. I got this opportunity through my academic advisor, who was a global health expert with extensive connections. My summer (2.5 months) in Cape Town cost me about $3,000 including flight, accommodations, food, and activities. On my way to Cape Town, I had a 13-hour layover in Munich, Germany. A friend that I met in a club in Barcelona lived in Austria and drove to Munich to explore with me. It gave me a little taste of the city and was way better than being stuck in the airport for half a day. While I was working in Cape Town, one of my graduate school friends (a former Peace Corp member) was working in Pretoria. 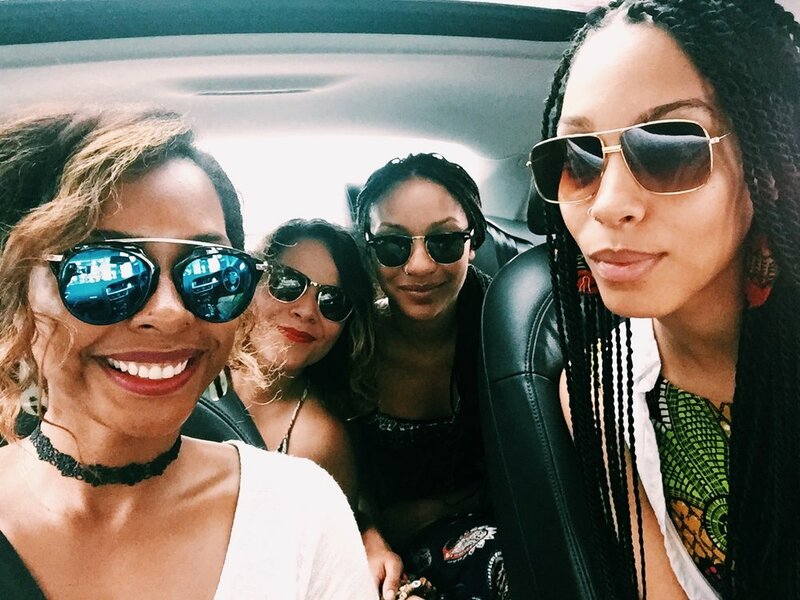 During a weekend, I flew into Pretoria and we took a road trip to Swaziland for the Bush Fire festival. If you are a student, look into established summer international internships offered at your school. However, not all opportunities are advertised. Talk to faculty who do international work that interests you. I was able to get $1,000 from my academic advisor in exchange for putting in a few hours towards his research projects. This wasn't something that he advertised, this was something that came about through relationship building. Put yourself out there! As a student, you get a month long winter break. I spent one winter break exploring Thailand and Cambodia for three weeks. During this time, we had a layover and stopover in London in both directions. We were able to accomplish this on a student budget by staying in hostels (since there were three of us, we booked our own private room) and using local airlines to travel within Asia. 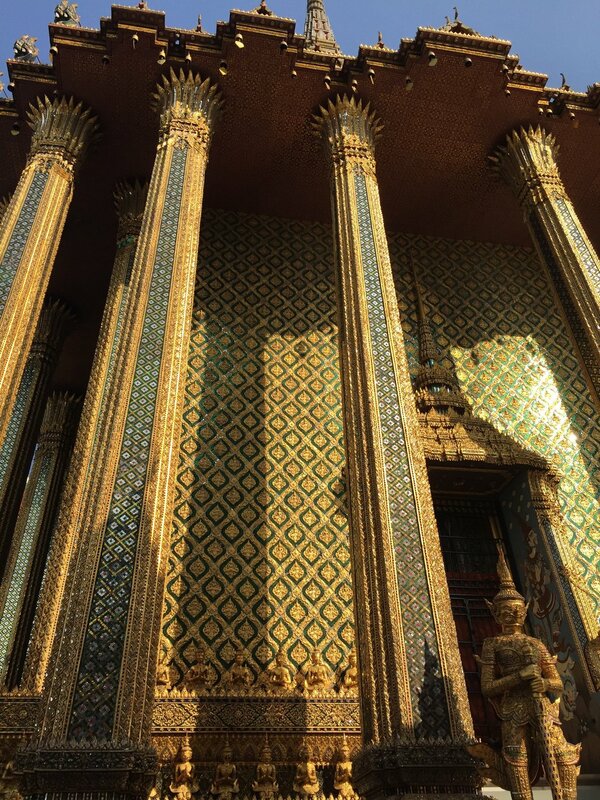 Thailand and Cambodia are extremely affordable countries, so our student dollars stretched far. On the way coming back home from South Africa, serendipitously a man from Austria and myself were placed in a middle row to ourselves. We instantly connected through talking about our journeys and even watched some movies together. Somewhere along the 15+ hour plane ride, we exchanged contact information. He flew to America for the first time to visit me and I went to visit him in Austria during my spring break, where we also took a road trip to Venice. Our fairytale international romance was short lived, but it was fun while it lasted. Three out of four of my childhood best friends and myself all graduated with our Masters in 2015. We decided to celebrate in Amsterdam, Valencia, and Milan, with a day trip to Lugano, Switzerland. This is where my budget travel planning skills outdid themselves. The 12-day trip was done for under $2,000. This included flights, accommodations, food, activities, and shopping. Read a detailed account of how we did this here! After my graduation trip to Europe, I took a vacation hiatus for a year as I searched for a job. It took me much longer than I anticipated to find permanent employment. The next trip I took after this wilderness experience was a two-week road trip throughout Poland, Prague, Budapest, Slovakia, and Bornholm, Denmark. My Polish friend Jacek, who I met in NYC during my college years, was the lead planner of this trip. For years, he was trying to get me to come to Poland and I finally gave in. I'm glad I did because the trip was epic and showed me the advantages of traveling throughout Europe by car. For $20, you can get your international license permit from AAA. If you're not up for driving in foreign countries, Eurorail is a great option for traveling between European countries. 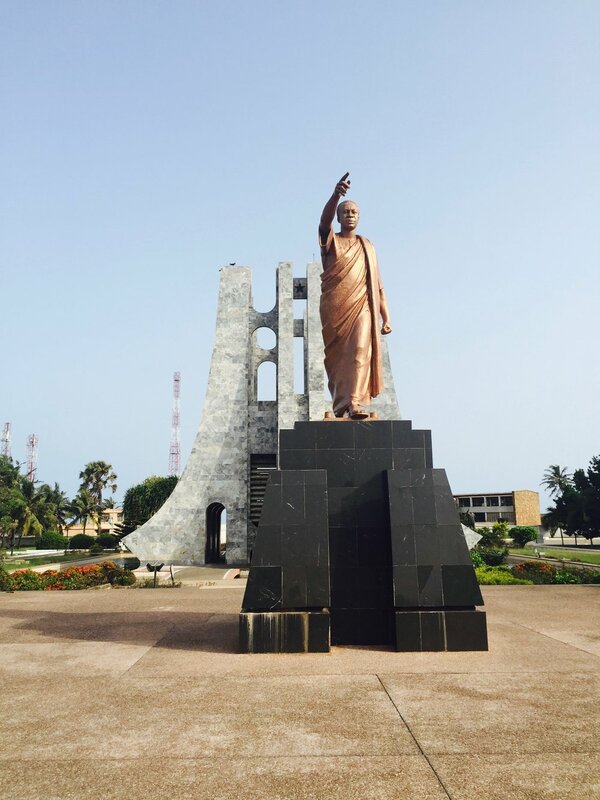 I found an amazing flight deal to travel from Raleigh to Accra, Ghana for $830! So my besties and I went to visit one of our other bff, Carolina, who lives in Accra, and celebrated my 27th birthday. In the beginning of 2017, I went through a heartbreaking break up that highlighted life's unpredictability and instilled in me the desire to travel the world even more, which has consistently been my happy place. Spent a four-day weekend in Jamaica celebrating my sister's wedding. Caught an awesome 2-country flight deal to Morocco and Portugal and spent two weeks exploring the countries. Continued to celebrate my 28th birthday in Bali and attended a friend's wedding in Singapore. On the way to Singapore, we explored Taipei during our extended layover. Traveled throughout Brazil and Misiones, Argentina for three weeks. Explored Lima, Peru during an extended layover. Mood during the entire 3-week South American trip. Back in 2009, if you would have told me by 28 years old that I would have explored 28 countries, I'd have replied, "How Sway? And where is this money coming from?" My study abroad experience in South Africa opened up a whole new layer of existence for me. If traveling is something you want to do more of, remember you don't have to quit your job to do so - it's possible to accomplish this while working or being a student. It all starts with a vision of how you want your life to be. Hopefully these tips help you transform that vision into a reality.